The following is a guest post from my colleague NYU political scientist Jonathan Nagler. In the interest of full disclosure, he and I are both Co-Directors of NYU Social Media and Political Participation (SMaPP) laboratory. 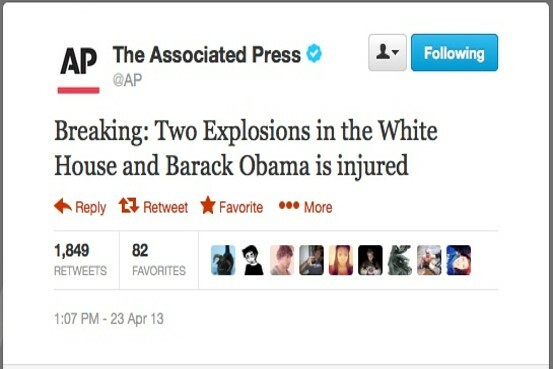 A group of sociologists at Indiana University recently claimed to have shown that “tweets predict elections”. The research looks at the proportion of tweets during the 3 months preceding the 2010 election mentioning either the democratic or republican candidate in a house race that mentioned the Republican candidate, and uses that ratio to predict the election outcome. 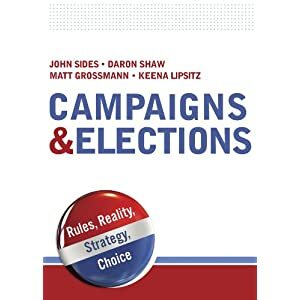 In an Op-Ed published in The Washington Post claiming to describe the research, Fabio Rojas, one of the authors claimed that “In the 2010 data, our Twitter data predicted the winner in 404 out of 406 competitive races.” Really? Below is Figure 1 from their paper (available on SSRN). I don’t know where Rojas was looking, but I see a lot of points on the right half of the graph—where Republican tweet share was higher than 50%—that are BELOW 0, meaning the Republican candidate LOST the election. Similarly, there are plenty of points in the left half of the graph—where the Republican tweet share was less than 50%—where the Republican candidate won the election. 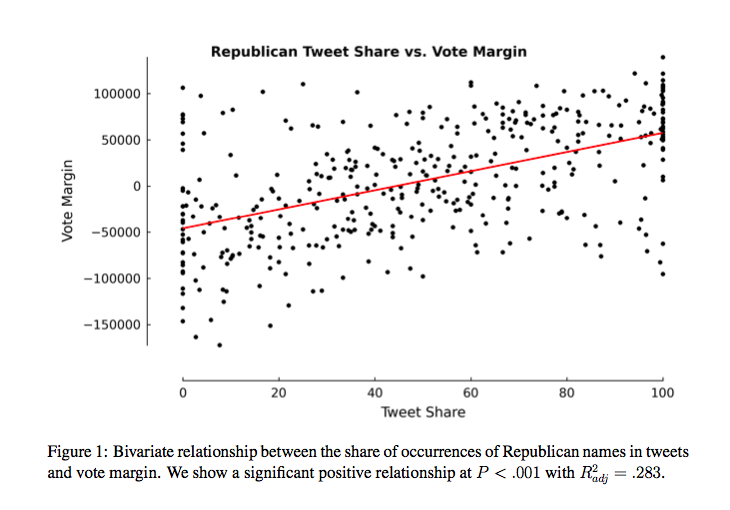 The nice thing about the authors publishing this graph is that it gives a perfectly accurate description of the relationship between tweet-share and margin of victory. They are related, but the relationship seems to be fairly weak. 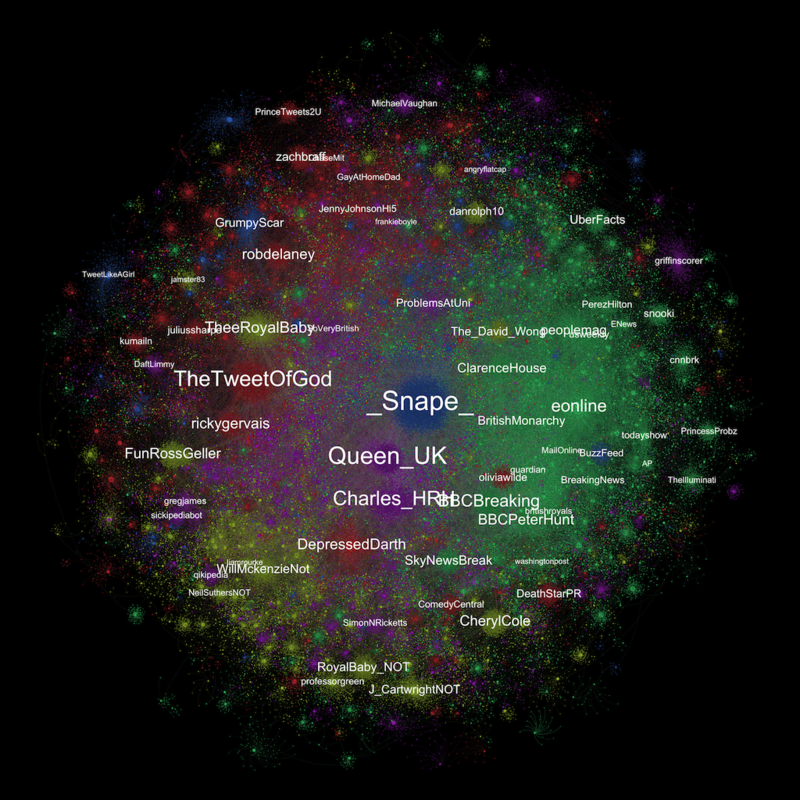 So if we wanted to predict election outcomes, would it make any sense to use the tweet-share? We could probably do a lot better looking at who the incumbent is, the share of the vote won in the district by the party’s last presidential candidate, or any of a host of other variables. So where does the 404 out of 406 number come from? I can only guess that Rojas was making a claim about the in-sample predictions of the full model reported in Table 1: a model that includes such important variables as whether or not there was a Republican incumbent, the proportion of votes John McCain got in the district, and the proportion of the district that is white. But do we really think the tweet-share is accounting for many of those 404 correct predictions? And without having the data in hand, it’s hard to believe that even the full model they got 404 correct predictions. 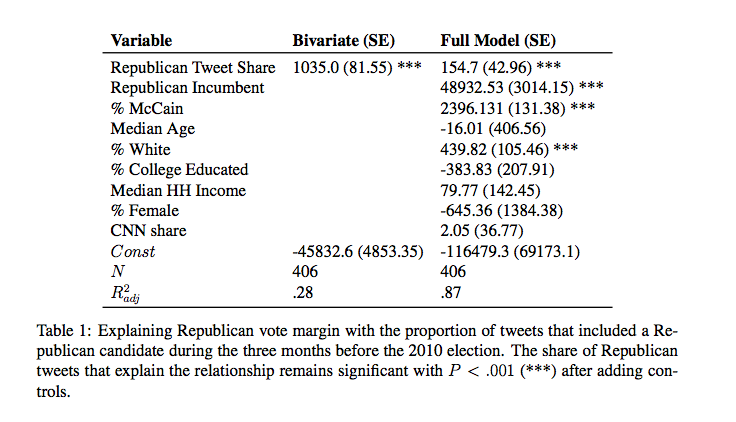 What we can see from the model they report in Table 1 is that the share of mentions in Tweets seems to have some predictive power for the Republican vote margin beyond the other variables in the model. 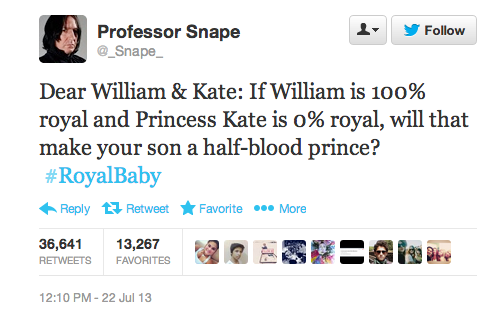 That’s interesting. But it’s a lot different than saying that the tweets predict the outcome. 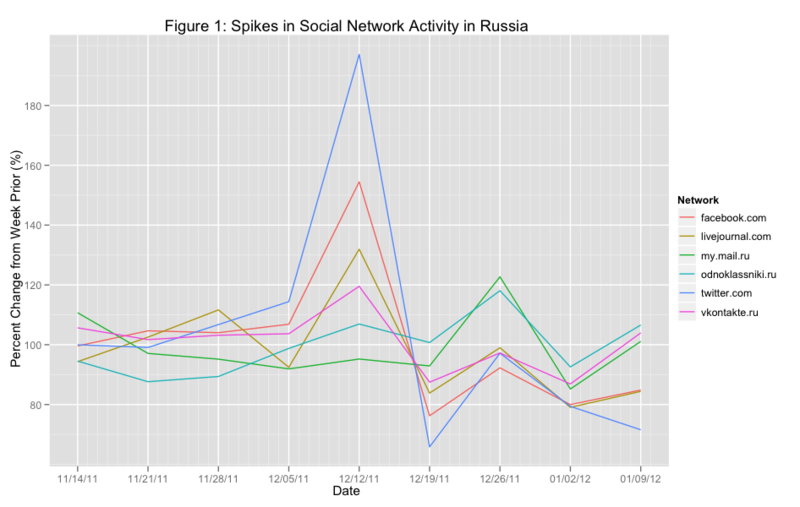 And more importantly, does the tweet share actually influence anything? It might come as no surprise that the tweet share is correlated with the winner of the election: that is pretty much what we would expect. The winner will generally have more name-recognition, spend more money and have a more active campaign. 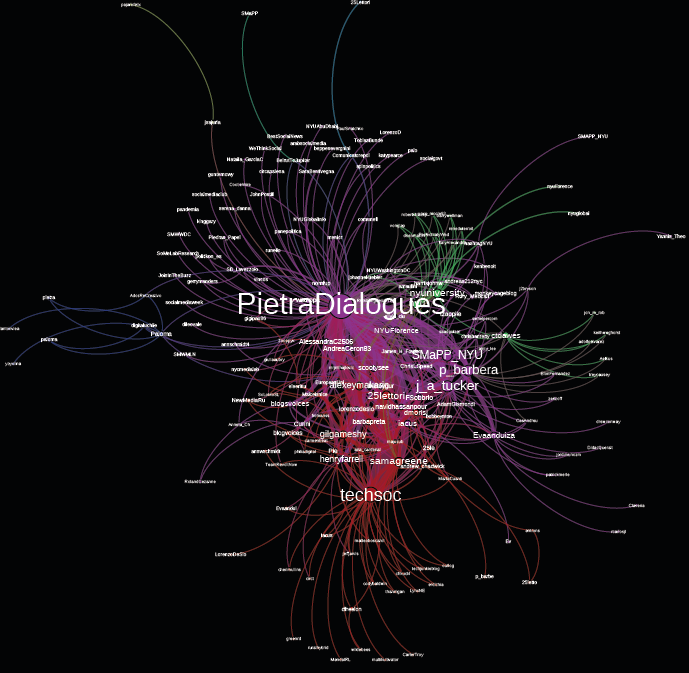 All those things should generate more twitter chatter. What we want to know is: does the chatter on twitter about a candidate affect what people think of the candidate? Does it make them more, or less, likely to vote for the candidate? These are interesting questions that my colleagues at the SMaPP lab at NYU and I are trying to answer. The basic data and analysis presented in the Indiana paper is interesting and informative. But it doesn’t help inform anyone to then make overstated claims that are so obviously contradicted by the data. The news media today have been atwitter about the ouster of Australian Prime Minister Julia Gillard in an intra-party leadership vote, 57-45 (see here, here, and here for example). So the press has clearly taken notice. But what about the people? For this question, we can turn to social media. 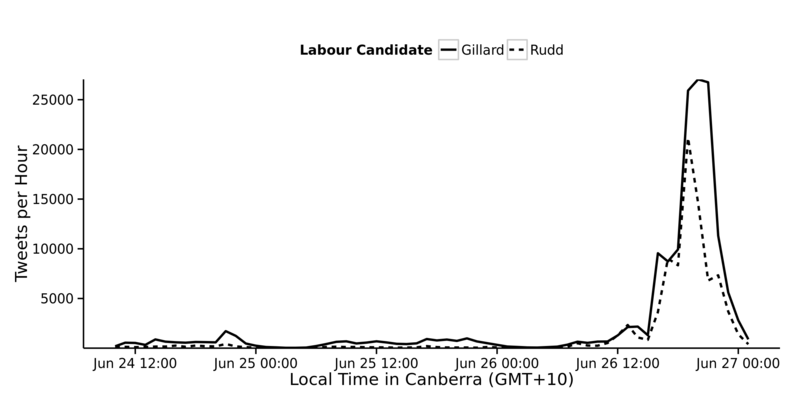 By a fortunate coincidence, the NYU Social Media and Political Participation (SMaPP) lab has been collecting Twitter data for the last two weeks on Australian politics in anticipation of this September’s parliamentary election. Thus we are able to look at the amount of activity on Twitter in the lead up to the vote as well as in the aftermath of the vote. The following figure details the number of tweets mentioning Gillard and Kevin Rudd, the ex-Labor PM – himself ousted from power by Gillard in a similar manner three years ago – who will now be replacing her. The figure clearly demonstrate an enormous upsurge in Twitter activity surrounding the two principal figures in the drama in the hours following the vote. 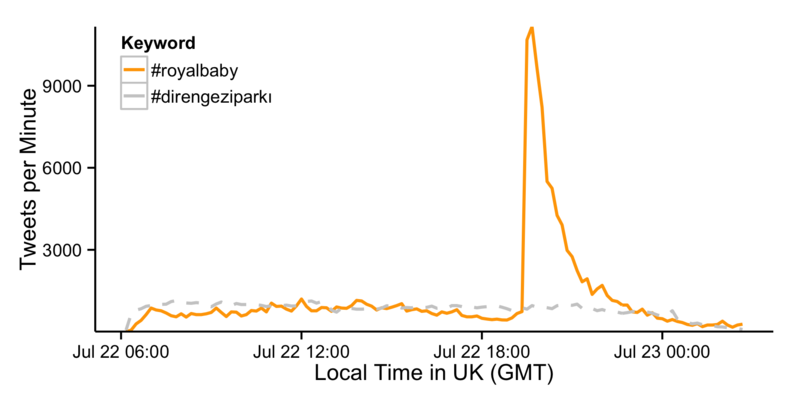 Indeed, tweets mentioning the two candidates grow from under 1000/hour to over 20,000 per hour for Rudd and as high as 25,000 per hour for Gillard (although, by comparisons sake, this is still nothing compared to the 3,000 tweets per minute recorded during recent Turkish protests). 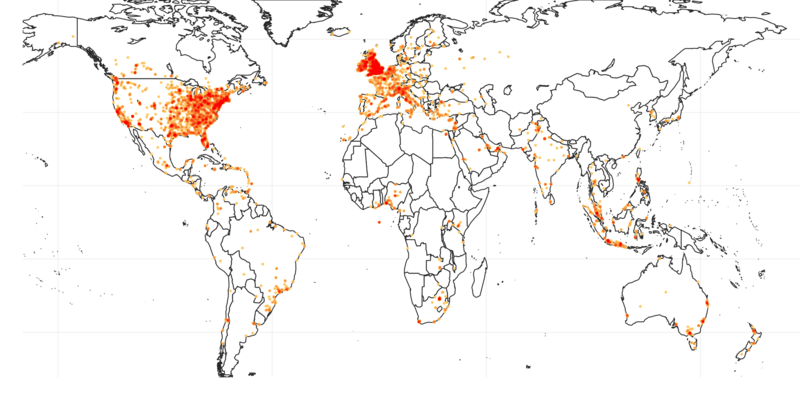 Another thing we can do with social media data is to look at the networks of who seems to be retweeting whom. The following figure shows these networks for the past 48 hours in Australia, with the colors representing four different components of the network. What’s interesting about the figure is how it doesn’t seem to resemble an “echo chamber” – with people only talking to similar other people – as we might expect in a normal political discussion. Instead, we find that the internal networks are quite connected to each other, making the whole figure look more like amorphous blob than a highly segmented set of networks. 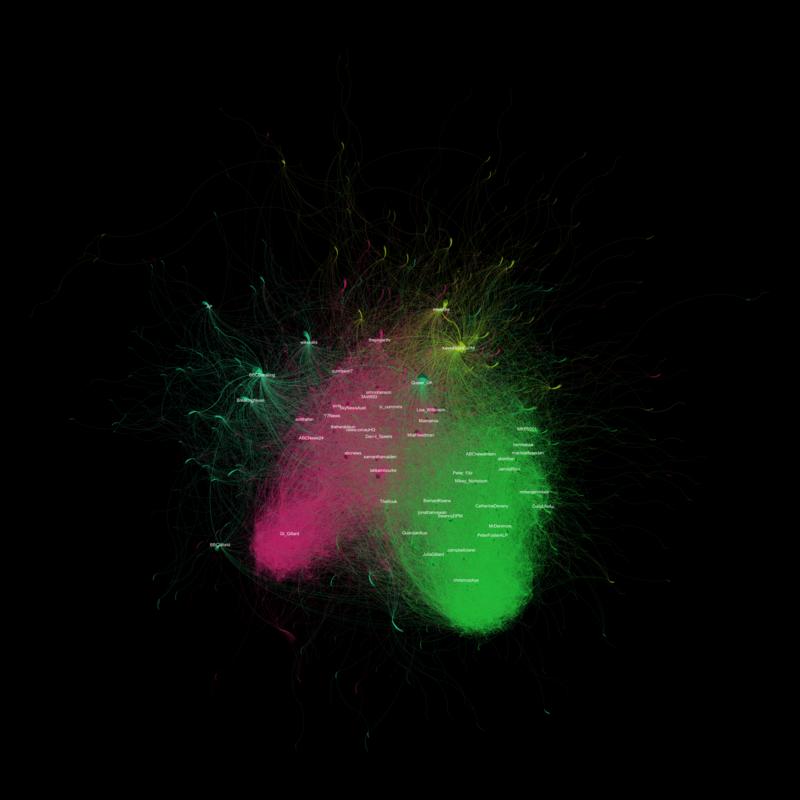 Moreover, rather than represent ideological factions, our best guess at these networks is that they represent different sources of information: the green nodes on the north-west part of the figure are foreign news sources, the red in the middle seem to be Australian news sources, and the green in the south east corner are politicians. Second, the network illustrates that even with events that are highly covered by the main stream media, Twitter also serves as a way to disseminate information, both for media and non-media sources alike. Who says intra-party leadership battles can’t be fun? I have been helping to organizing a conference in Florence this Friday and Saturday (May 10th and 11th) on the effects of Social Media on Political Participation. We’ve got a great lineup of papers (including the Monkey Cage’s own Henry Farrell). 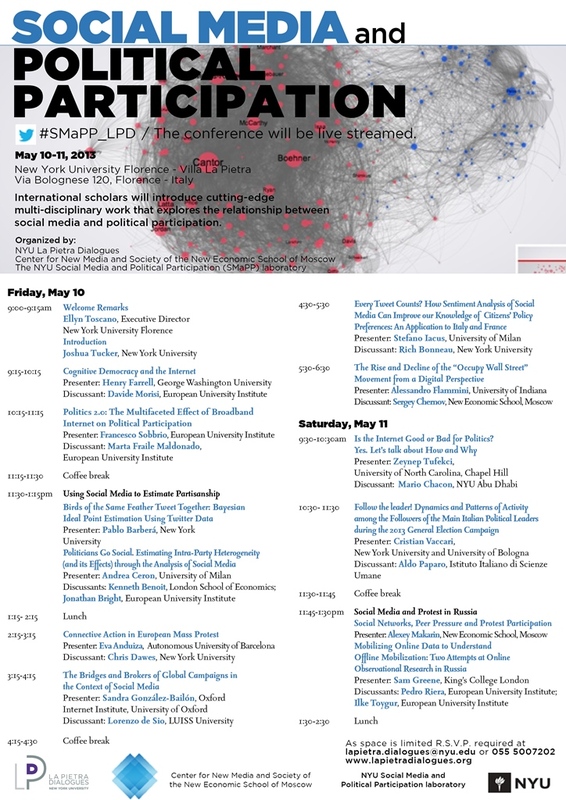 We’ve managed to secure funding to live-stream the conference (it will be available here), and anyone watching will be able to participate through the hashtag #SMaPP_LPD. We’re hoping to convince people that live-streaming is an important use of university resources, so if you are interested (or you know anyone who might be interested) please join us! Most of the papers are now available on the conference webpage. 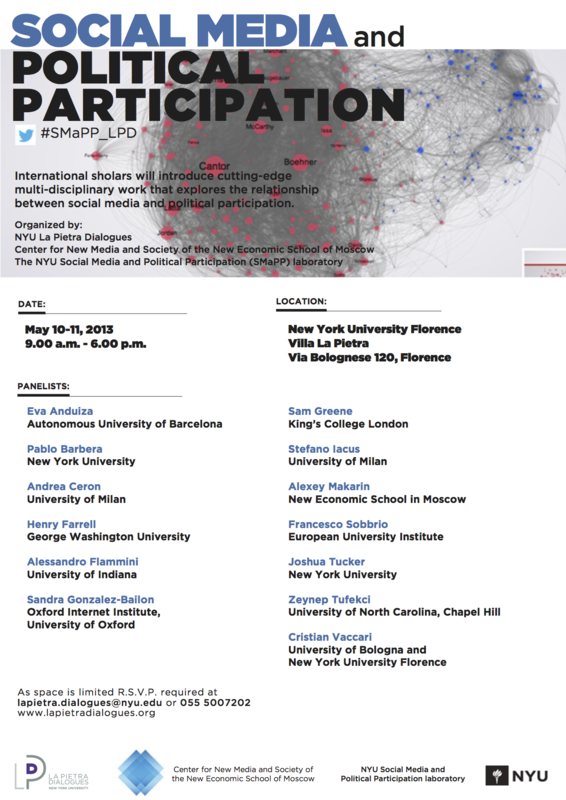 I am helping to organize a conference on social media and political participation that will take place at NYU-Florence’s Villa La Pietra campus May 10-11, 2013. We’ve lined up a great collection of scholars to present original in progress research on this newly evolving topic. The conference is free and open to the public, but you are requested to RSVP if you would like to attend. Abstracts of all papers are available here. The hashtag for the conference is #SMaPP_LPD, and we will have information regarding internet access to the conference for those who can not attend once it becomes available. The conference is co-sponsored by NYU-Florence’s La Pietra Dialogues, the Center for New Media and Society at the New Economic School (Moscow, Russia), and NYU’s Social Media and Political Participation (SMaPP) laboratory. 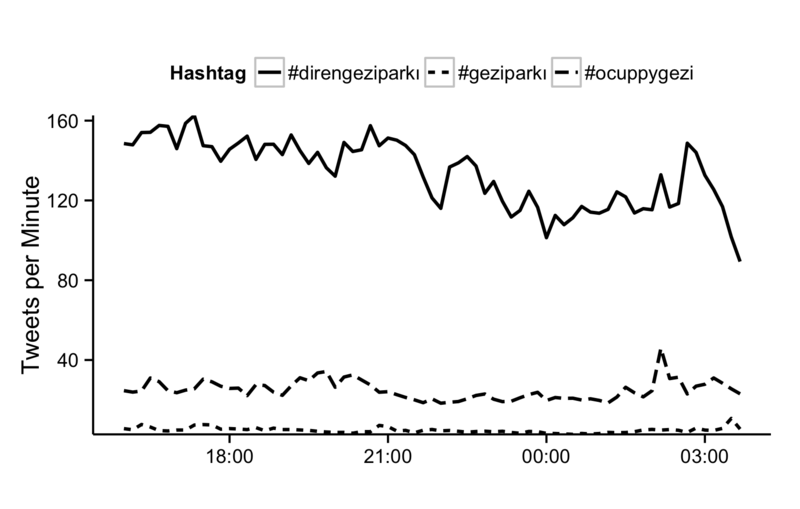 The data are from a collection of 5 million + tweets that we’ve collected at the NYU Social Media and Political Participation (SMaPP) lab since the shooting that contain a number of related keywords, including the six on the graph. While the data are still in a crude format (e.g., nothing in the figure shows whether tweets are supportive of the NRA or opposed to the NRA when they include “NRA” in their tweet), one pattern is quite clear. 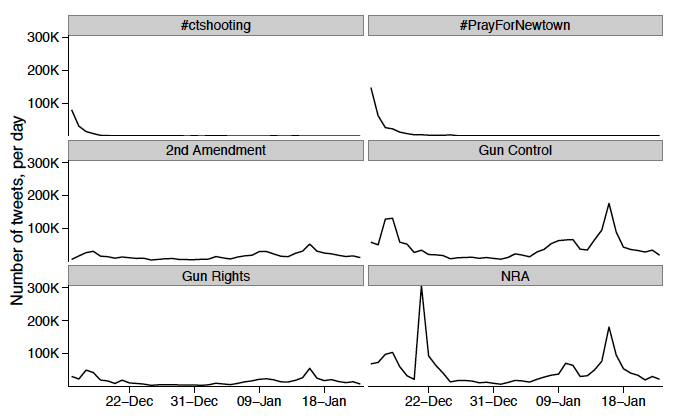 Even as tweets directly related to the Newtown shooting have tailed off (i.e., those containing the hashmarks #ctshooting or #PrayForNewtown) people are still talking about the political/policy implications (i.e., gun control, NRA, 2nd Amendment). This therefore extends the initial observation we made about this pattern after three days of tweets (here and here) to more than a month’s worth of tweets. What’s interesting about this is that it provides at least some rudimentary evidence that it is not just those in the media that are continuing to talk about topics such as gun control; it is the mass public as well. 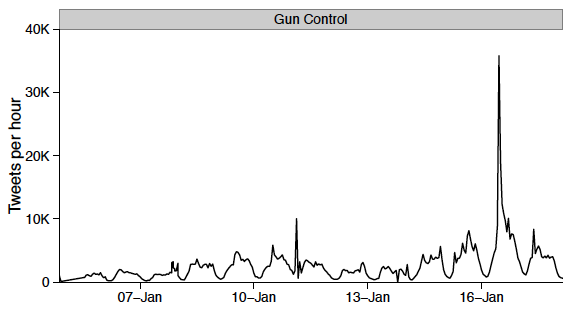 That being said, the biggest boost in the discussion of the issue by the mass public (the second set of peaks on the right part of the figures) came following President Obama’s gun control speech on January 16th, suggesting that while the public remains interested, elites (and especially the president) can play an important role in sustaining that interest. Of course, the data (which show tweets on “gun control” trending up before the President’s speech) are also consistent with a world in which public opinion may have encouraged him to act as well. Danny does seem to be right that discussion picked up on the 9th, but there seems to have been almost as much chatter the previous two days as well. The biggest mini-spike actually comes a couple days after the Biden announcement. But overall, I think the pattern of Tweets clearly is consistent with Danny’s claim that the Tweeting is being driven by the White House as opposed to visa versa. And yet, it is still interesting to see that it is not just journalists “covering the story”, but indeed tens if not hundreds of thousands of individuals (with the caveat again that these are just counts of tweets) that are doing so as well. The ability to see citizens in action this way is a new opportunity for social scientists—as indeed is the ability for citizens to “speak” publicly in this way!—and one which I think will prove very interesting to follow.